A contentious field trip planned for students at Mountain View Elementary in Ontario, Canada has been canceled thanks to one vocal and dedicated parent. When Jennifer Jamieson, the mother of a Mountain View student and a self-described animal activist, learned that her nine-year-old son was scheduled to visit the nearby theme park Marineland with his class, she promptly protested, leading the school to plan a different class trip instead. "I am a mother [who is] truly concerned for and dedicated towards the welfare of animals," Jamieson told CBC Hamilton. "I want my children to live a compassionate lifestyle and for society to stop viewing captivity as just another social norm. ... There's nothing educational about using animals for our entertainment." Marineland is proud to have hosted, educated and entertained literally millions of students since we first opened. ... We have heard from many marine biologists, veterinarians and oceanographers that it was their childhood experience at Marineland that first inspired them to learn more about the wonders of the ocean and its amazing creatures. Students will visit the Royal Botanical Gardens instead, which Jamieson considers a victory. 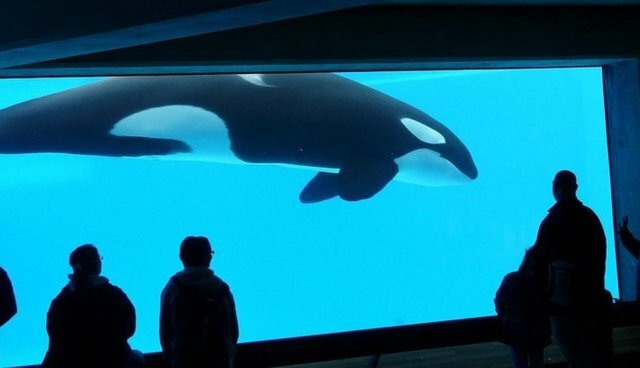 The mother now has plans to petition school board officials to cancel future field trips to Marineland on behalf of Mountain View and other schools in the district, in order to help students learn "school-wide values" of "compassion and respect."